Imagine you work at a startup that is growing headcount 125% year over year. It’s 25 people going to 56 going to 126. You hire a head of engineering. The engineering team is 17 people. 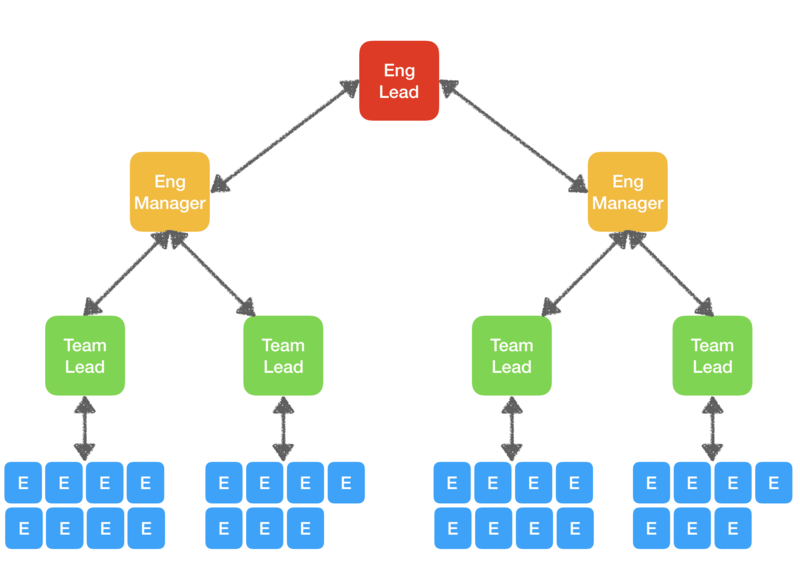 The org chart will look like this: one engineering lead with 17 engineers reporting to them. 17 direct reports is unsustainable. It’s at least one full working day of 1/1s. 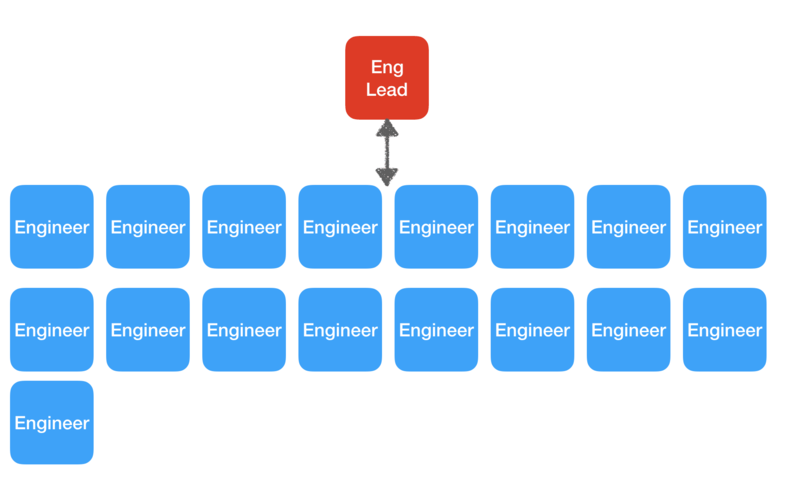 Plus, the engineering lead must double the size of the engineering team in the next year. And ship code on time. 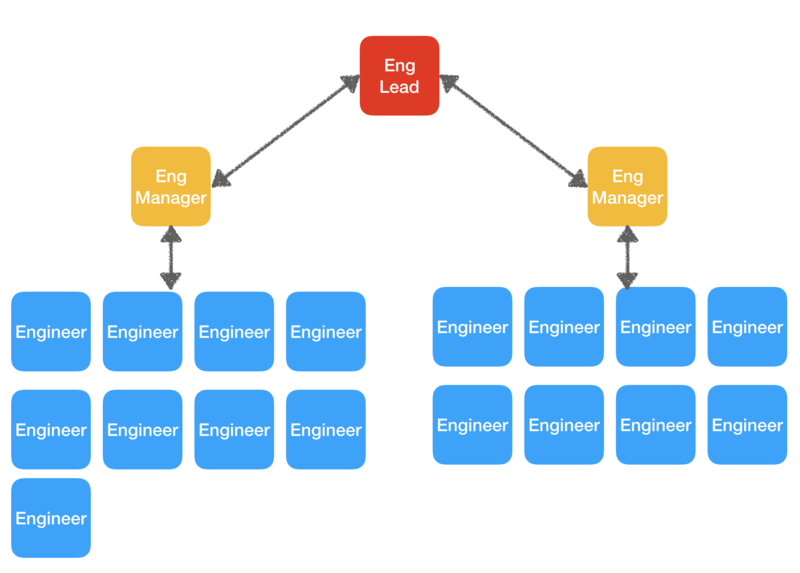 Priority one for the engineering lead: hire two engineering managers to reduce the span of control. More than the recruiting challenge, the engineering leader must cross the first step of the people management chasm. Instead of managing individual contributors, managing managers. Now the team is up to 19 people and the org chart looks like this. In 9 months time, 13 more people will have joined. So you’re back to a span of control of 15. Two managers with 15 reports each. Unsustainable. So you split the management work again to end up with something like this. That’s a lot of change in nine months. Imagine the complexity in 18 months or 36 months. 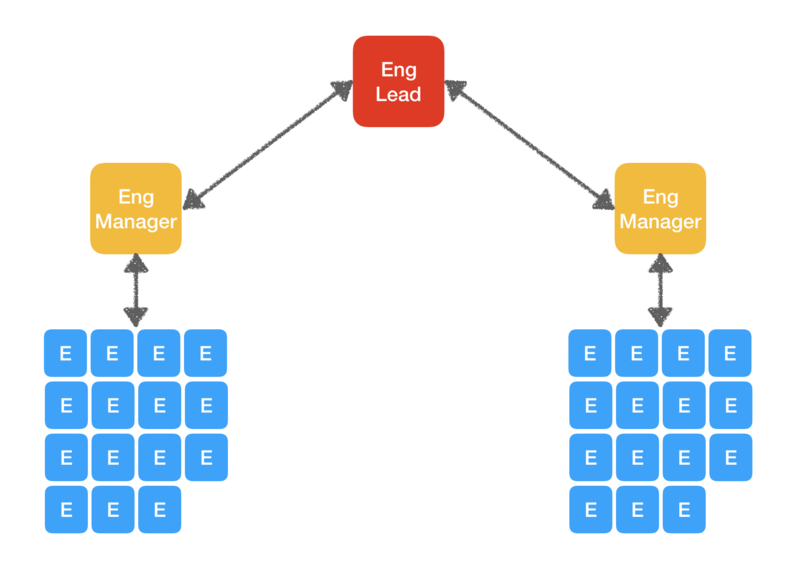 Did you consider this when you wrote the initial spec for the engineering lead? Instead of managing 17 individual contributors, this leader will be managing six managers across two different levels and 30 individual contributors? And having to recruit nearly 24 people in 9 months. This is a simple example but it proves the point of how much a startup can change very quickly. The leaders you hire will likely come from one of two profiles. Either they have done something similar before. Or they are a hungy up-and-comer and you’re making a bet they can do the job well. In either case, you need to hire for slope, not y-intercept. This is Stanford Professor John Ousterhost’s idea. Your startup is going to grow and change in so many different ways that it requires leaders who can learn and grow faster than the business needs them to. 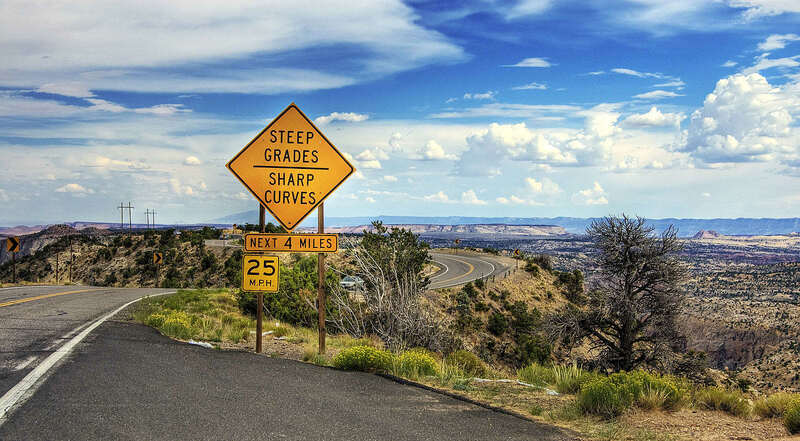 They need to have a steep slope, a fast learning curve. If they have a good y-intercept, but not great slope, the demands of the business will outstrip their ability to perform well. These leaders must anticipate org chart changes, hiring needs, and many other kinds of demands on the business well ahead of the current needs, so they can prepare the company to handle as many as possible, as well as possible.